Comon Guys! we all know its the steeds that matter and not the stables!!! neways you guys have cool garages guys, I am yet to get one! probably once I get out of college!!! Just a few cosmetic things left and putting out some more garage art. Cajundude, it's official, you are a gearhead. Nice garage! i havent taken any good pics of mine in a while. i have some cabinets and countertop ordered, as soon as its all installed and cleaned up, i will get some new pics. Last edited by 4GTABODT; 06-04-2006 at 07:05 PM. Last edited by 4GTABODT; 06-04-2006 at 07:06 PM. Not a good pic, but this is my 3-car toy box. Recently installed the RaceDeck; need to clean it up a bit. Location: Oakville ON "Real Corvettes have folding tops..."
Location: "This is not a psychotic episode, but a cleansing moment of clarity." Before my cabinets went in. That is sweet. I'd be curious to know what that cost you. PM would be great. 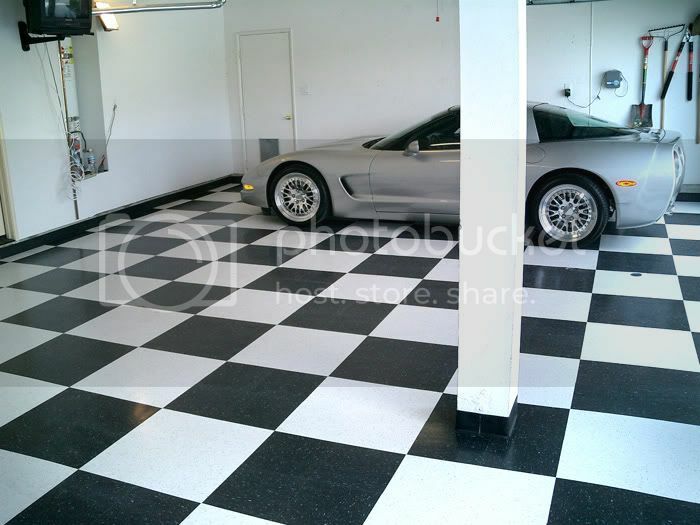 I have a two car shop and a two car garage. The shop was originally built to store an RV so it is very tall. A four post lift would work fine. The only problem is the floors is asphalt I've been thinking of ripping it out and replacing it with concrete and putting in a lift. 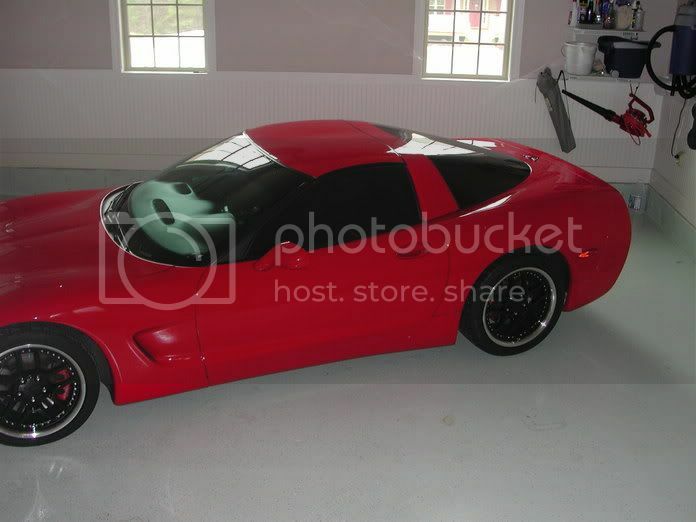 I am sure my wife would like me to move the vette out there so she can fit both of her cars in the garage. 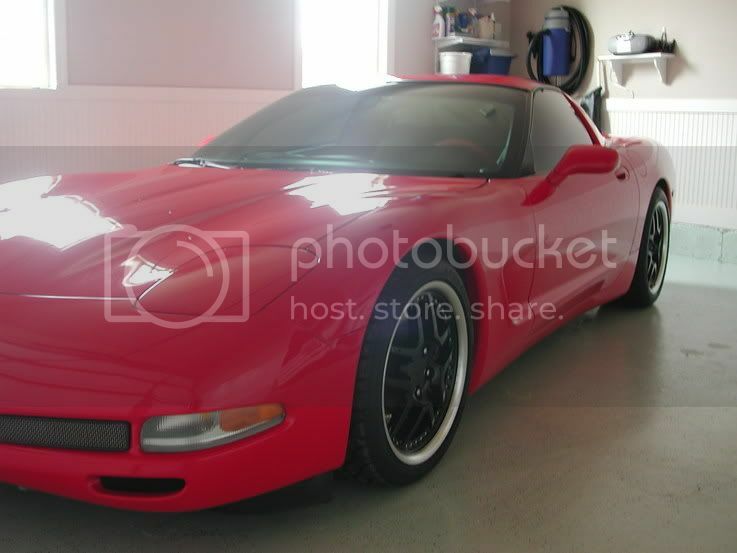 Damn You have one great garage Cajundude. Very I never thought about running a celing fan out in a garage. Great idea. Here is the current lair when the evil creature slumbers. Clean, simple and quiet two-car. Quick Reply: let's see some nice garage pics!